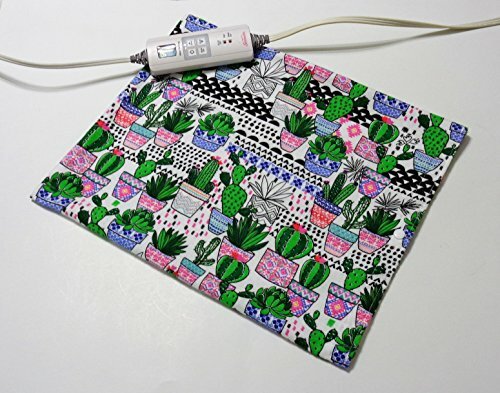 This heating pad cover is made from soft 100% cotton flannel. It has a snap closure to keep the heating pad in place. The flannel is machine wash cold, tumble dry low. It measures approximately 13 X 16 inches. Heating pad NOT included. Pattern placement may vary slightly.